Funny, I didn’t feel any different today, despite learning that I am one of “forty million people under an advisory” just because it is hot out. Way to go; TV news, making even normal summer weather something I am supposed to be afraid of (because without your help I might not realize that the temperature rises in July and August). Honestly, how do they make statements about millions of people living under imaginary advisories with a straight face? 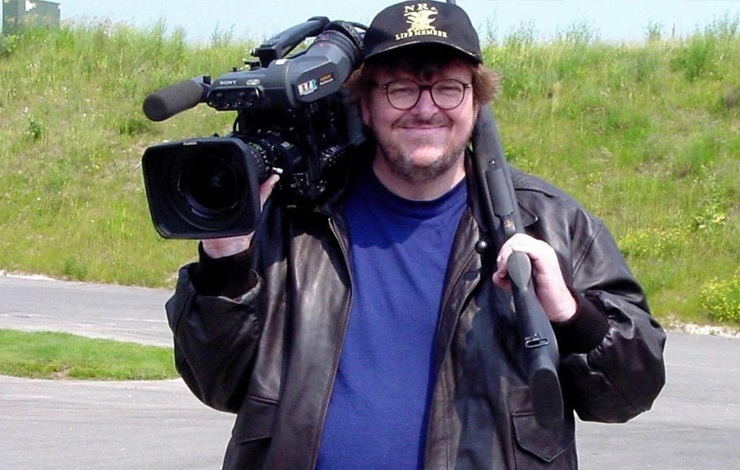 Michael Moore, in Bowling for Columbine, talked about how keeping us afraid (in general and of one another) and making us feel like the end of the world is coming with every news report is part of controlling us. Be afraid, be very afraid. Pardon me for sounding like Ralph Kramden, but I would like to talk to some of these reporters and say, “I know that you know that I know that you really don’t mean it when you report that western civilization is coming to an end with every new 12 hour phenomenon that comes before us. So from now on, in addition to your fake handwringing earnestness, please add the words, “just kidding”. One such report that crossed our path seemingly 200 years ago on June 25, 2015, was of the anesthesiologist who mocked a patient while his cell phone recorded the whole event and he was asleep for his colonoscopy. The story had legs for a day; add to the people you are supposed to be afraid of, your doctors. The last time I wrote about Dr. Lynn Webster in this blog it was in connection to shoddy media work by his one time and now increasingly disgraced nemesis, Dr. Gotcha. I began that blog with some general comments lamenting how the expansion of media channels, social media and information overload have teamed up to lower our collective IQ. I often write these blogs in the morning, allowing just enough time for my morning caffeine to kick in after I have been inspired watching the morning news, seeing what is flickering across our frontal lobes and trying to figure out what angst is planned for us “stepford humans” with for the next 24-36 hours. You have to wonder, how will we ever get the truth out about chronic pain and pain treatment? In a world where only the shrillest flares light the media sky, how does a dull ache ever make its way into our consciousness? And then along comes Lynn Webster’s new book, The Painful Truth, and all of a sudden, where there once was only superficial, distracting and often incorrect reporting about “PainKillers”, opioid epidemic, and death, comes a deep voice. A rich voice. Hundreds of pages worth of the suffering, recovery, redemption, triumph and loss, love and hate, courage and fear, a real human drama. Not a bunch of drug seeking wimps with imaginary problems seeking secondary gain via somatization and manipulation – real people, some injured in horrific ways, never asking for the medical problems that changed the course of their lives. This is no Listening to OxyContin, this isn’t just about opioids and pain and addiction, it is about real people, our neighbors and friends and family members and us, coping with the most common medical problem there is, and overcoming it with love, resilience, and to some extent, an imagined and better healthcare system that allows for truly biopsychosocial care marked by time, expertise, teamwork and relationships between healthcare providers and patients that all of us would like to see our own loved ones receive. In his book jacket comments, Steve Passik, PhD, noted that any callous caricatures of pain patients as some kind of collective would be done away with once people have read this book. If everyone in media, or on both sides of the opioid debate, or in their training could be urged – no required – to read this book, how would one ever again turn a deaf ear to the daily misery of people in pain. 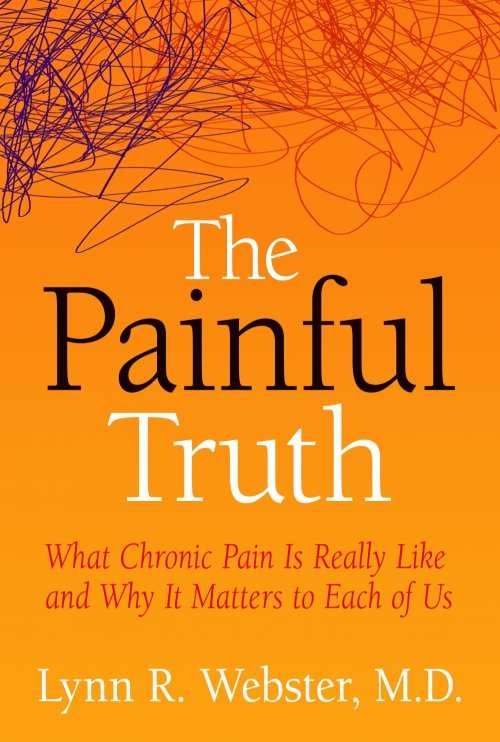 I would like to declare a national holiday, perhaps to coincide with National Pain Care Providers Day as advocated by Pat Murphy, MD, of Louisville KY, and have everyone with any connection to these issues, take the day off and sit and read this wonderful book. We owe it to the millions with chronic pain, who are not millions living under some fake advisory but instead, millions dealing with a real painful reality, to feel their pain and do it even while we nurture ourselves, so we can fight this battle with the sustained attention and love that Lynn’s book convinces us that it deserves. It tells nothing but the Painful Truth. 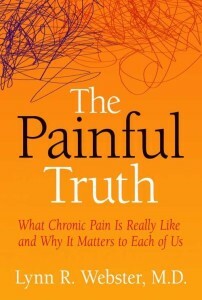 I’m glad that Dr. Webster has written a book presenting the perspective of people who live with daily pain. He can gain a hell of a lot more media attention than I can in telling this story. Judy Foreman’s excellent 2014 study A Nation In Pain carefully examines many of the problems that come between we who suffer and those who would treat us. I understand that Judy is now working on an updated book covering subjects she had neither the time nor the space to write about in her first book. Since I’m not writing today for National Pain Report, I wont dramatize my point with allusions to the millions in pain who would have trouble getting out of their chairs. Where are the Howard Beale’s of our generation? If we are ever to change the experience of the 100 million who suffer today, we’re going to need the political clout to challenge the various groups who’s interests range from empire building, to profiteering, to saving the world from sin. “Gort. Klaatu barada nikto!” LOL. THAT’S GREAT! Great comparison to Michael Moore’s work, Jeff. As long as the health insurance industry is able to run rampant, the quality of pain care that Americans deserve will never be realized. 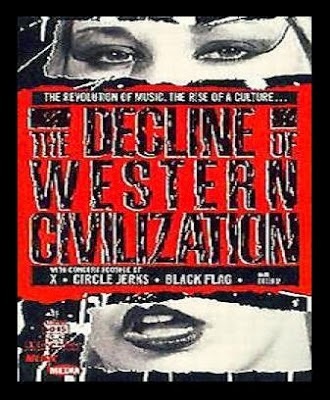 Should we “just kid” about the chronic pain crisis potentially resulting in the decline of western civilization? I think not. Besides the tragic human costs, our current pain care system – characterized by a lack of access to quality care – will cost this country countless billions of dollars in terms of lost productivity. This cost may not “cause” the end of our civilization, but will certainly contribute to it. Looking forward to seeing you in Vegas! Thanks Michael – YES, looking forward to #PainWeek in Vegas as well. Can’t wait to see you and so many colleagues that advocate for patients in pain daily! Cheers!